Avian flu viruses appear to struggle to acquire the necessary changes in their genome to adapt to horses, according to scientists. 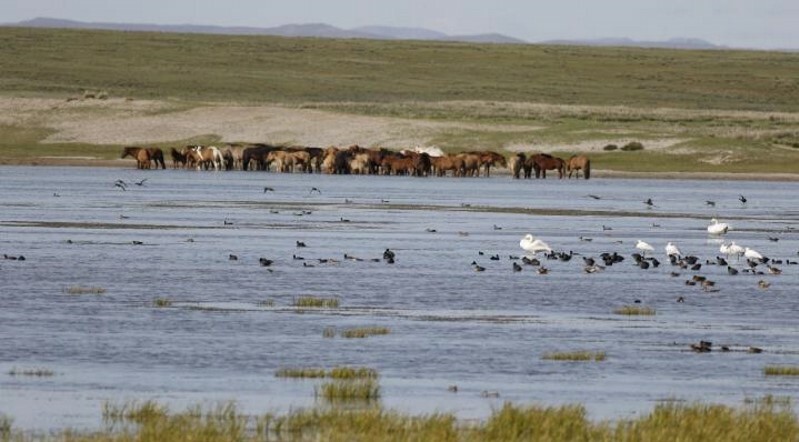 Researchers have found that avian influenza viruses infect horses in Mongolia but do not cause large outbreaks of disease because they failed to acquire key genetic changes to enable greater cross-species transmissibility. These findings are contained in a study published this week in the open-access journal PLOS Pathogens. Pablo Murcia, of the MRC-University of Glasgow Centre for Virus Research, and his colleagues say that future studies aimed at understanding those blocks to cross-species transmission using avian and equine influenza viruses could provide valuable insights into the mechanisms and determinants that underpin influenza emergence in mammals. Viral diseases pose a constant threat to humans and animals. Occasionally, viruses establish in new hosts, sometimes with devastating consequences. It is not clear what allows a virus to infect and become transmissible in a new population, but ecology and evolution play an important part in this process. Influenza A viruses constitute the archetypical example of emerging viruses: their main natural reservoir is in wild birds, but they have also established in humans, pigs and horses. To better understand how influenza A viruses circulate in nature and the ecological and evolutionary factors mediating viral emergence, Murcia and his colleagues sequenced more than 20 avian influenza viruses collected from wild birds in Mongolia. By combining field studies, phylogenetics and experimental infections, the authors documented with unprecedented detail the stages that precede initial outbreaks during viral emergence in nature. The results revealed that the avian influenza viruses are genetically related to a virus that caused an equine influenza outbreak in 1989. Experimental infections showed that most avian influenza viruses replicate in the respiratory tract of the horse without causing any tissue damage. Moreover, horses in Mongolia have been regularly exposed to them over a broad geographical area without causing clinically evident outbreaks. The findings suggest that equine infections by avian viruses able to replicate in horses are more common than originally thought, and that the failure to acquire key genetic changes is the main barrier to disease emergence. According to the authors, surveillance efforts should be directed to monitor for the presence of horse-adaptive mutations in viruses derived from birds.